In June 2017, I was lucky to spend 4 weeks helping the team at Paystack think through product marketing and growth. 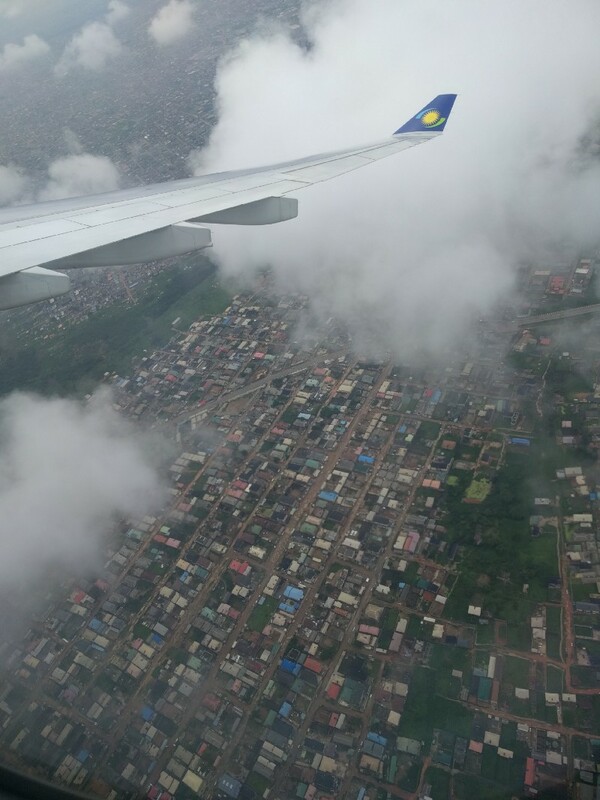 My month in Lagos was a humbling experience. While I was prepared to be impressed (did you know that there’re almost as many people living in the city of Lagos as there are in the entire country of Ghana? ), Lagos still found a way to surprise me. I found a city full of talented doers, working hard to collectively build something much larger than themselves. Collected below are a few quick observations from the trip. I was surprised by how intensely collaborative the Lagos tech startup community appeared to be. CEOs of other startups would routinely drop by the Paystack office to help us think through ideas, or come seeking feedback on something they were working on. Seyi Taylor, CEO of BigCabal Media, routinely signals that his business is supported by a family of supporters from outside the company. 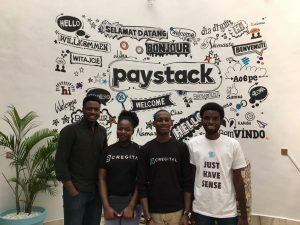 Many thanks to the people who took time off from their work to help out, including Chuka Ofili (Delivery Science) and Celestine Omin (Andela) — that’s what being an ‘ecosystem’ actually means. One especially memorable example of this was when a friend compiled a 5000+ word analysis of his company, and then shared that internal strategy document outside the company, seeking feedback from a select group of friends from across the ecosystem. It really does feel like people here aren’t shy about reaching out and asking for help from each other. Startups in Ghana and Nigeria routinely complain that there’s an acute shortage of skilled software developers in both countries. But I believe we don’t talk enough about another, even more acute skills shortage — the shortage of the critical non-engineering talent that our startups need to scale. Marketing, product management, product design — these are only a few of the roles that many startups are struggling to hire for right now. But while the situation could be a lot better in both countries, I felt like I ran into skilled non-engineering talent a lot more often in Lagos. At an event at the Co-Creation Hub, I enjoyed a long conversation about SEO with Abdulrahman Jogbojogbo, a digital marketer on the Growth team at Hotels.ng. A few days, later, I was pleased to meet designers and account managers from the brand + product agency, Cregital. In general, I felt like I met non-technical talent more frequently in Lagos, which I assume reflects an understanding by Lagos teams that it takes many different skill-sets to win. A few years ago, a few friends and I travelled to the tiny islands of São Tomé and Príncipe (a former Portuguese colony about an hour south of Accra by plane) to celebrate New Year’s Day. The highlight of the trip was an epic, all-island dance party on the beach. For the first few hours, the DJs tried and failed to get the party started with with what sounded like local hits. Eventually they gave up and played what everyone was there for: Nigerian music. I tell this anecdote to exemplify the extent to which Nigerian music has taken over. It’s an open secret across the continent that Nigerian popular culture currently dominates. In music, movies, and the arts, Nigeria looms large in a way that leaves local artists in other African countries frustrated and envious. I’m beginning to suspect that the average Nigerian is utterly oblivious to this. In conversation after conversation, my Nigerian friends seemed genuinely confused by what I was talking about when I tried to engage them in a discussion about the continent-wide dominance of Nigerian culture. At first I thought people were just being modest, but I’m actually starting to think that Nigerians don’t recognize how much cultural influence they wield. I have no idea what’s going to happen when they wake up to this fact and lean into this leverage. I suspect this is going to amuse folks, but honestly and truly, it felt like everyone I met in Lagos tech went to either Babcock University or Covenant University! Maybe I was speaking to an especially skewed sample (both co-founders of Paystack went to Babcock, so it’s possible that their first few hires came from their school network), but it happened often enough to make me start to wonder why it seemed like everyone I met was affiliated with these two institutions. I don’t have any grand point to make about this, except to say that it was something I noticed that I found interesting. Underlying many conversations I have with people in Lagos tech is heady sense of mission. It’s hard to describe. It’s probably best exemplified by the #YabaTownHall community event which happened on June 23rd. People passionate about the Lagos tech ecosystem came together for an open conversation about what the community needs to do to ignite more successes. The resulting Open Manifesto is worth looking at, as is the conversation around the event on Twitter. While it’s early days for this initiative, it’s hard to deny that people truly, genuinely care about being a part of something much larger than themselves. 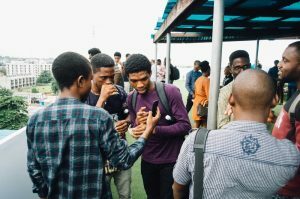 It feels like multiple members of Lagos’ technology community realize that they’re blessed with valuable skills, and they’re seeking ways to channel their energies towards a Lagos, and a country, they can be proud of. 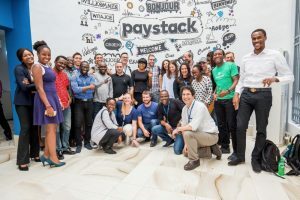 I’d like to say a huge thank you to the Paystack team for an incredible month in Lagos! I’m returning home to Accra inspired and, to be honest, a little envious of what the Lagos startup community has. There is a lot working against this community, but I have no doubt that multiple companies will emerge from Lagos that will shake the world. If you’re a player in African tech, I highly recommend spending some time in Lagos to observe and learn. The city, and it’s community, has a lot to teach. Curious about media, marginalia, and how thoughts become things (and vice versa). Ex-GM @MESTAfrica Incubator, @LabForTheCity, @Yale, @SeeClickFix.